Two more journalists were killed in Mexico last week, adding to a growing number of dead in one of the most dangerous countries in the world for journalists. Aurelio Campos, editor at the daily “El Grafico,” based in the central state of Puebla, and Agustin Pavia, host at the southern Oaxacan community radio station “Tu Un Nuu Savi,” were killed just two days apart in unrelated incidents, Telesurtv.net reported. Campos previously reported to local authorities that he had been the victim of intimidation. However, police determined that he was killed by “an angry colleague,” who they have not yet identified. He was fatally shot while driving his car on Sept. 14. Two days later Pavia was also shot dead while driving. Authorities are still investigating the motive for the crime, and no one has been arrested. 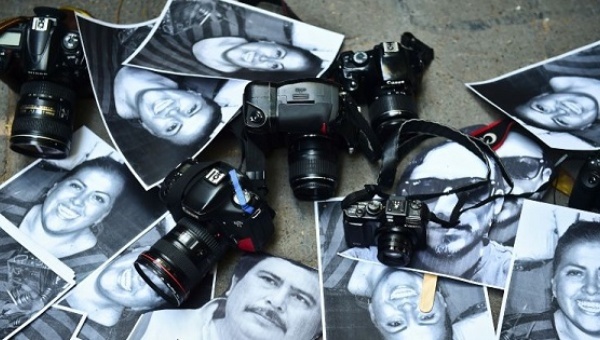 From 2000 to date, at least 99 journalists have been killed in Mexico for possible connection to their work, while at least 26 of them have been killed during the government of President Enrique Peña Nieto, Article 19 reports. The organization also says that at least 12 journalists have been killed this year and has called Mexico the most dangerous country for journalists.